In these times of mass production you could be forgiven for thinking that the skills Peter Deij possesses had already been lost for good. 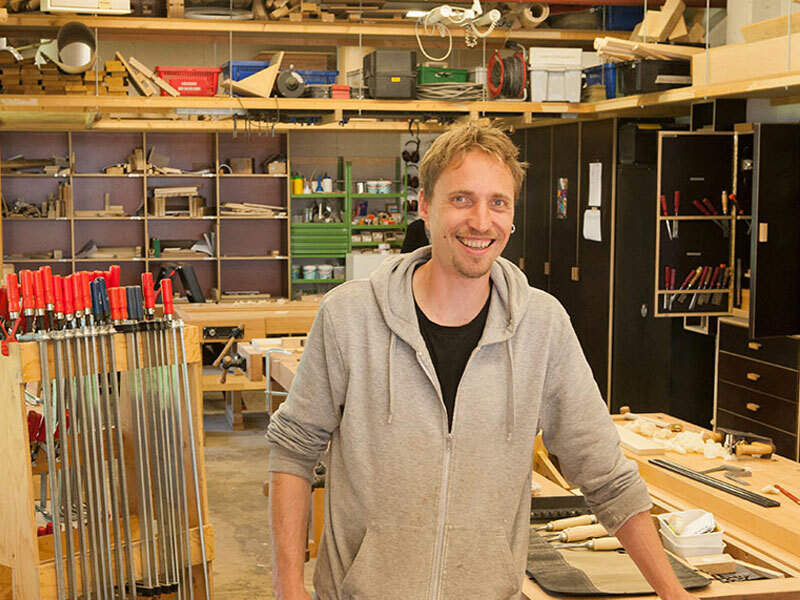 But he not only puts these skills to good use every day, making beautiful furniture for discerning clients, he also rescues them, sharing what he knows with his students. Peter’s furniture can be appreciated on many levels. The designs themselves are practical and elegant, relying heavily on the wood he has collected, and treasured (sometimes for years) to tell him which route to follow. Don’t miss an opportunity to see his work in the flesh. It’s a little cliché perhaps, but you have to touch it to believe it.